This striking razor from Czech & Speake ticks all the boxes. 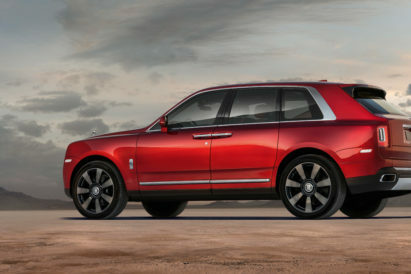 Does it look luxurious? You bet your bottom dollar it does. That distinctive, highly figured heartwood from the Zebrano tree is straw-like in colour and distinctively marked with narrow veining or streaks of colour ranging from dark brown to almost black. And the other notable box ticked? That of sustainability. 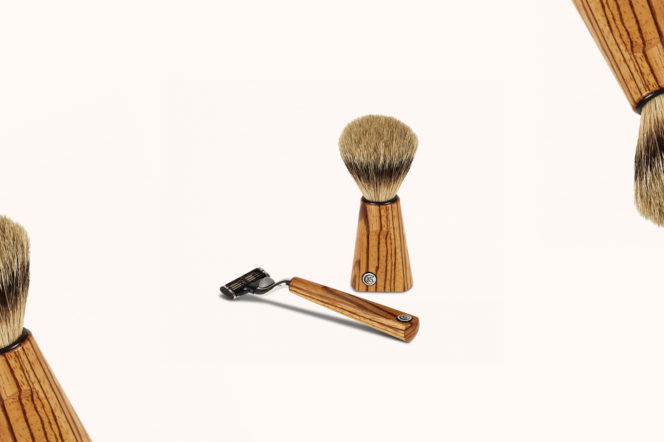 This beautiful wood is also eco-minded, sourced sustainably and traditionally used for boat building and skis — meaning that your perfectly weighted razor will stand up to the strongest of stubble. Everyone loves ending a long day with an even longer shower, and then wrapping themselves up in a comfortable dressing gown and settling in for a nightcap. 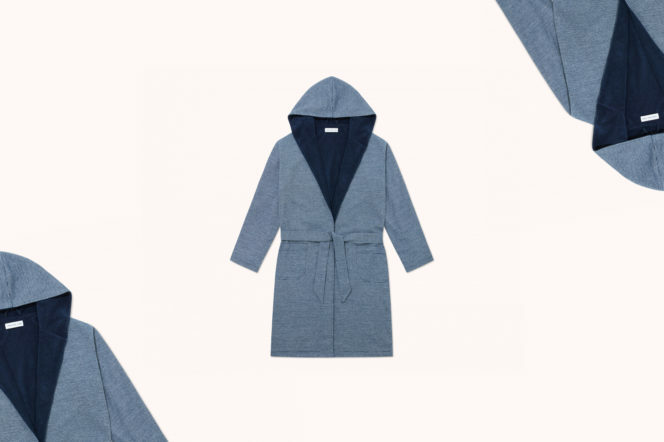 This robe, from Hamilton and Hare, is ideal for such lazy evenings — double-faced, Egyptian cotton and with a textured navy stripe for style. What’s more, it’s inspired by and modelled after the original hooded boxing robe worn by fighters before they enter the ring, meaning that you may be in ultimate comfort — but you’ll still look fighting fit and on fashion. When’s the last time you withdrew a £50 note? They’re rare, to say the least, but on the odd occasion you have slipped one into your billfold, we’d wager that you felt a small swell of smugness. 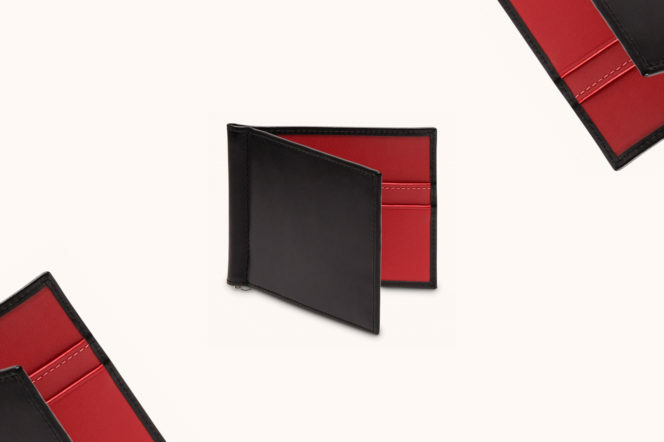 And Ettinger have capitalised on the note’s regal hue with their latest money clip wallet, which exudes style and swagger through its rich, colourful interior. Crafted from buttery soft leather, and designed to be as slim and simple as possible, this cash slip wallet will hold a multitude of money; a wad of bank notes in the middle, four credit cards on the left and some smaller tickets and paper notes on the right hand side. Just because winter is retreating into the frosty past, that doesn’t mean that all of your earthy, woody aftershaves should be confined to the bathroom cabinet. In fact, spritzing on something with a little more depth will stand you away from the spring crowd. 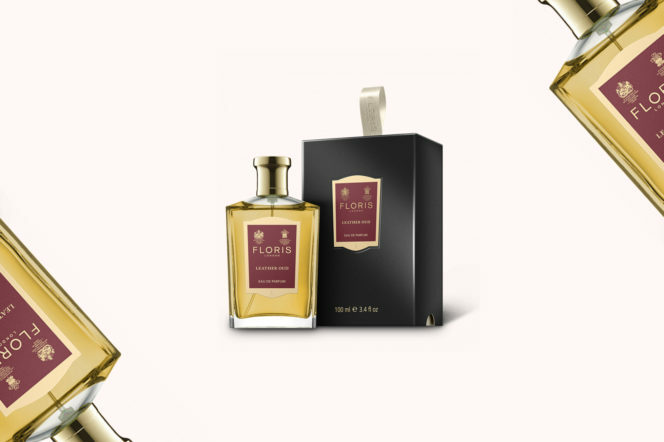 Our suggestion would be this Leather Oud from Floris. With glowing amber notes and a woody base accord, this is a scent created with Oud oil from a certified sustainable source of agarwood. Among the most expensive oils in a perfumer’s palette, expect an opulent, deep, sensual aftershave — and many compliments. The base of all good black tie is a white shirt. We know, we spent a while earlier this week rhapsodising about velvet slippers, and how they were the fashionable foundation to this iconic uniform — but the truth is that your white tie sets the pace for everything to come. Emma Willis will see you right. 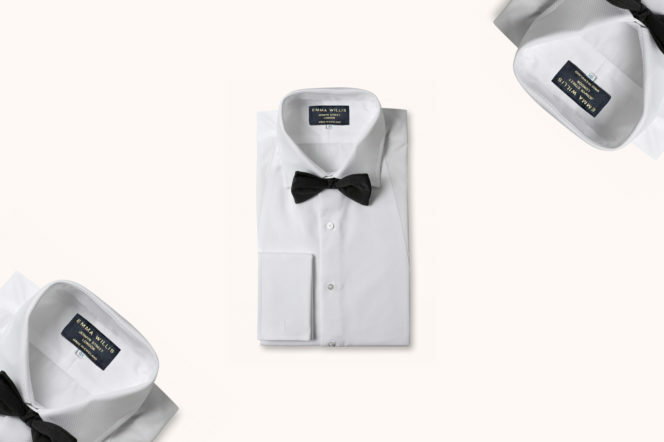 This classic evening shirt, made using a fine Swiss cotton and Marcella rounded bib front, sees mother of pearl buttons paired with a cutaway collar and single cuffs — and is the perfect first step to attaining the gold standard of black tie. Some hybrid clothing items have been a raging success — see the humble but practical overshirt, or ‘shacket’. Others, less so (here’s looking at you, jeggings). But Luca Faloni’s inspired twist on the simple sweater, pairing it with a button-up polo collar, is among the best we’ve seen. 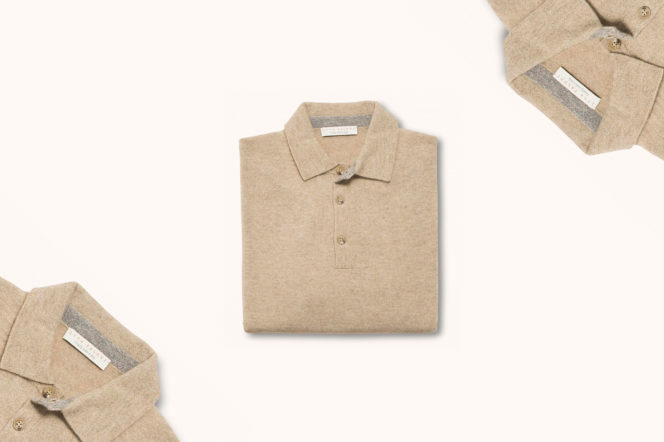 Knitted in Italy with cashmere from the Cariaggi Fine Yarns Collection, it’s a masterclass in versatility; a smart choice for business casual looks with chinos and a shirt, and perfect for your free time paired with jeans. 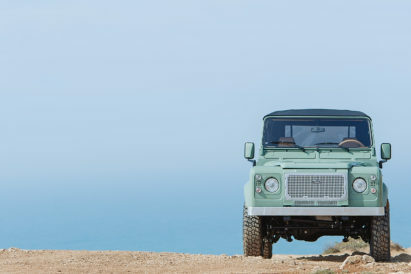 This waterproof canvas weekender is Bennett Winch’s signature offering, and it’s been made to make the best possible use of every inch of space inside — perfect for globe-trotters, jet-setters or even just weekend breakers. 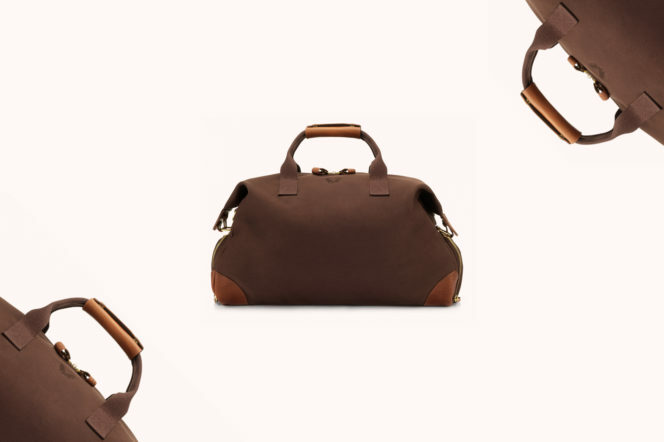 Complete with compartments for workwear and sportswear, as well as sleeves for your phone, passport and wallet, this is the ideal accessory to take on an autumn city break or for everyday use. And with premium full grain leather trims and solid brass hardware welded in London, each one is guaranteed to last you a lifetime. 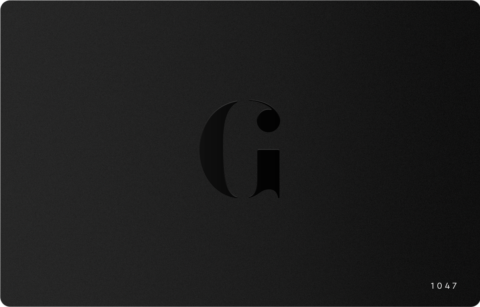 Sir Plus have long been a favourite brand of Gentleman’s Journal. With their ecological ethos — buying up surplus material from fashion brands and creating distinctive, signature pieces — each season they offer up new and exciting innovations. 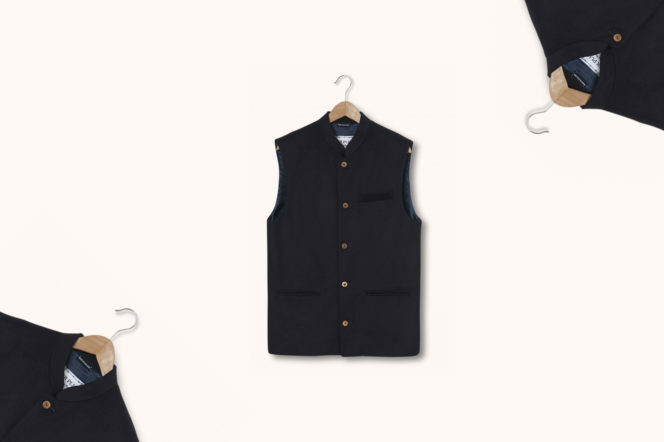 But the classic waistcoat, around for several seasons now, remains one of our favourites. A mandarin collar, welt pockets and coconut buttons all add to the eccentricity of this alternative piece of outerwear and, like Luca Faloni’s polo sweater above, much of its appeal stems from sheer versatility.